Think about what's stored in your phone. Almost everything that was once packed into a bulky wallet or purse is now digitalized in the palm of your hand: phone numbers, photos, calendars, to-do lists, you name it. As smartphones get smarter, that anchor in your pocket is getting lighter. With mobile money technology, you can now leave those credit cards, bank cards and even store-loyalty cards at home too. Here are some Handy Mobile Wallet Apps you can try. Isis Mobile Wallet holds virtual versions of many things your existing wallet does. The carrier presented to its customers, a way to consolidate all those pieces of hard plastic stuffed in Wallets, into their smartphones and use the cards everywhere contact-free payments are accepted. Essentially, using Isis is as easy as opening the app and holding your phone over a card swiper when you're ready to pay. The app also provides much more personal security than wallets. It is PIN-protected and if your phone is lost or stolen, one call or click from another phone or computer can freeze the app and all of the cards stored in it. There's no limit to how many cards can be stored in the app and participating banks include Wells Fargo, Chase and American Express. These days, every retail and grocery store has its own loyalty card and it can feel like your wallet is bursting at the seams with cards that you may only use once a year. These store discount cards can also be added to Isis and used in the same digital fashion as your credit and debit cards. Many banks and credit card companies offer their own app but you need a separate app for each account, making your phone as jumbled as your wallet. While Isis is just the latest in mobile money transfer technology, it's one of the first to offer a consolidation of funds into one internal feature. 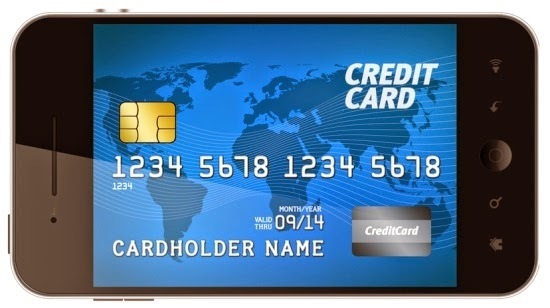 Other wallet alternatives remain external to the phone such as Square, which is a portable card swiper that can be inserted into the phone's headphone jack to turn the phone into a card reader. As written about on TechCrunch, Loop functions as a combination of Isis and Square, and it features an external card reader with a corresponding app. According to HowStuffWorks, another app that works similar to Isis is Google Wallet is Google Wallet. It has its own internal loyalty program, allowing you to earn rewards from participating merchants each time you use the app. Love the convenience of shopping online but hate taking the time to fill out those lengthy forms come checkout time with your address, phone number, card number and so on? Google Wallet allows you to bypass those hoops in one click when shopping online. And while using a credit or debit card to wire money typically comes with a fee, it lets you transfer money to anyone else with the app free of charge. Using a plastic card at a bar or restaurant is the norm. But this can often lead to chaos when trying to split a restaurant bill among a large party or a state of shock when you receive your bar tab at the end of a long night. This stress can be alleviated with Tabbedout, a bar and restaurant-specific app that enables the user to view their running tab in real time, pay it when ready (no more fighting through the crowd at the bar just to close out your tab), easily split the bill with other members of the party, and add a tip before paying straight from the app. You can even view special offers or leave a review right from the table. Isis Mobile Wallet and Google Wallet are made possible by Near Field Communication (NFC), a short-range wireless network that allows two devices in close proximity to transfer information instantly. With mobile money technology, go ahead and add wallets to the endangered species list. Kevin Gannon is a recent college graduate with an English degree and is an aspiring journalist. He loves to keep up with the latest trends when it comes to technology, especially when it comes to mobile phones. hello sir after choosing the custom template my blog is showing a dark background on the mobile version. check it www.nairamind.com please what should i do? I like to learn more about this. Love to see your newer version for more information. Thanks. That's a great innovation. Thanks a lot for sharing the news. Easy to record your information and easy to retrieve it as well.